What happens when an aspiring teen chef from South L.A. meets the U.S. Surgeon General? + Did you buy a Powerball ticket in South LA? Claim your $866K prize! 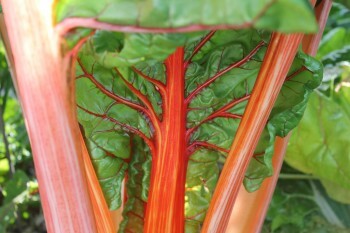 Fremont High School senior Xiaxiang English served a chard-based salad to to the U.S. Surgeon General Friday. | Marisa Zocco, Intersections South L.A.
What happens when an aspiring teen chef from South L.A. meets the U.S. Surgeon General? Did you buy a Powerball Ticket in South LA? Claim your $866k prize! At its closest point, the Jefferson drill site is only three feet from homes. | Caitlyn Hynes, Intersections South L.A.
A few blocks west of the University of Southern California, behind ivy-covered walls, is the Jefferson oil-drilling site. The walls may block neighbors from seeing what goes on behind them, but they know, nonetheless. Now, South Los Angeles youth, tired of living near toxic chemicals with little protection, are joining together with environmental non-profits to sue the city. The Jefferson drilling site, owned and operated by Freeport-McMoran Inc., is one of the sites named in a lawsuit brought against the city. Located in the heart of a South Los Angeles neighborhood, the site is protected only by a retaining wall that neighbors say does little to contain the noise and odors produced by drilling. 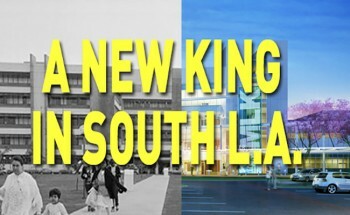 Other South L.A. sites face similar problems. The plaintiffs in the lawsuit, the South Central Youth Leadership Coalition, Communities for a Better Environment, and the Center for Biological Diversity, held a press conference last Friday to announce the case. The groups allege that the city has not only violated regulations from the California Environmental Quality Act by issuing exemptions for environmental impact reports on oil drilling and production sites, but that it has also forced residents of color to bear disproportionate environmental and health burdens because of the lack of safety measures around several South Los Angeles sites. Standing outside City Hall Friday with signs with that read, “Our health is not for sale” and, “Ain’t no power like the power of youth,” the minors stood behind speakers who demanded that the city comply with the California Environmental Quality Act by conducting environmental impact reports and providing better protection from, odors, toxins and noise pollution at the drilling sites. “Our health and our environment are at risk. Community members should not have to jeopardize their health by simply being at home,” high school student Joshua Navarro told the press. The lawsuit comes on the heels of an October audit that found that since 2007, most Los Angeles oil sites have not been subjected to an environmental impact report assessing the site’s health and environmental impacts on surrounding communities. Reports from Al-Jazeera America found that the Jefferson drilling location is one of the sites lacking such documentation. It is currently unclear why these oversights have continued. Protests and this lawsuit against oil companies have drawn the support of youth who live in the neighborhoods surrounding the Jefferson drill site. Many of the kids involved have lived around the site for years. They’ve smelled the chemicals and heard the loud sounds that often accompany drilling. Elena Hume, 10, has been involved with several protests. She said she and her family would smell the chemicals as they went on walks around their neighborhood. “I never knew it was an oil-drilling site. We’d see the bushes, and the rows of trees, and the big yellow gate,” Hume said. But now she knows what is happening and she feels it’s wrong to expose her neighborhood to the fumes of the toxic chemicals. 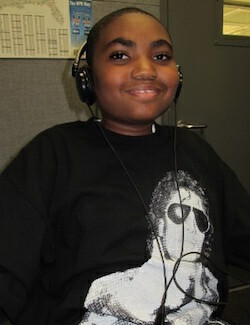 Jordan Parks, 12, has lived near the site his entire life. For a long time he and his family didn’t know exactly what was behind the walls. But when his father discovered it was an oil-drilling site, “Everyone started realizing how incredibly bad it was,” Jordan said. Youth from the neighborhood around the Jefferson site, brought together by school, church and neighborhood tutoring programs, have become more involved in the issue through protests at the drilling site over the past few years. Richard Parks, Jordan’s father, said that the kids were the ones who wanted to take action. He said the youth wanted to initiate the process because their homes and families were being directly affected. A report from the National Resources Defense Council found that the chemicals used at oil drilling sites have been linked to cancer and other reproductive health problems. Neighbors have also blamed the site for headaches, nosebleeds and asthma. Tanja Srebotnjak, a professor at Harvey Mudd College who has worked in oil and gas research for over fifteen years, said that the closer neighbors are to the chemicals used at oil drilling sites, the more susceptible they are to health complications. “Farther is better and some states and municipalities have set distances ranging…up to 1,500 feet, 2,000 feet,” Srebotnjak said. 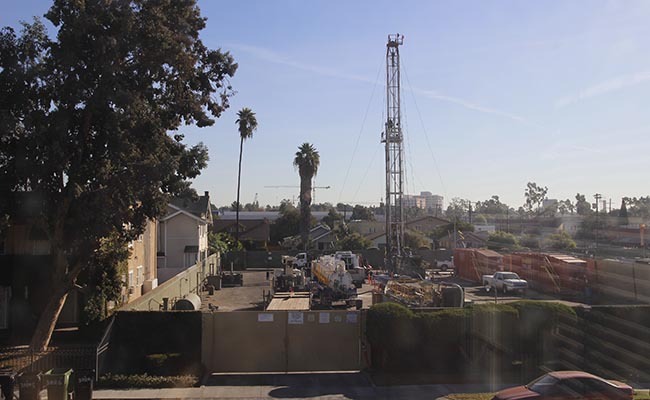 But a 2014 Community Health Councils study found that South L.A. drilling sites located in neighborhoods with high percentages of people of color were significantly closer to homes, schools and churches than sites in West L.A. While the average distance from homes, schools and churches in South L.A. is 85 feet, the West L.A. and Wilshire sites, located in primarily white neighborhoods, are about 400 feet away. Many West L.A. sites also have enclosed structures or some type of geographic barrier like a golf course that can help mitigate noise and odors. The Jefferson site, in contrast, has only a retaining wall as physical protection. Niki Wong of Redeemer Community Partnership, a South L.A. non-profit that works in the neighborhood around the Jefferson drill site, estimated that the wells at the site are a mere 60 feet from homes, a distance that almost certainly exposes residents to toxins. Without an environmental impact report, it is hard to know exactly how the community would be affected if an explosion or other accident were to happen on the site. As for the kids around the Jefferson drill site, they say they just want their neighborhood to be safe for families. “It’d be nice if they just shut [the drilling site] down and turned it into a park or something, or more housing,” said Jordan. The city attorney’s office told the Los Angeles Times that it will review the lawsuit. 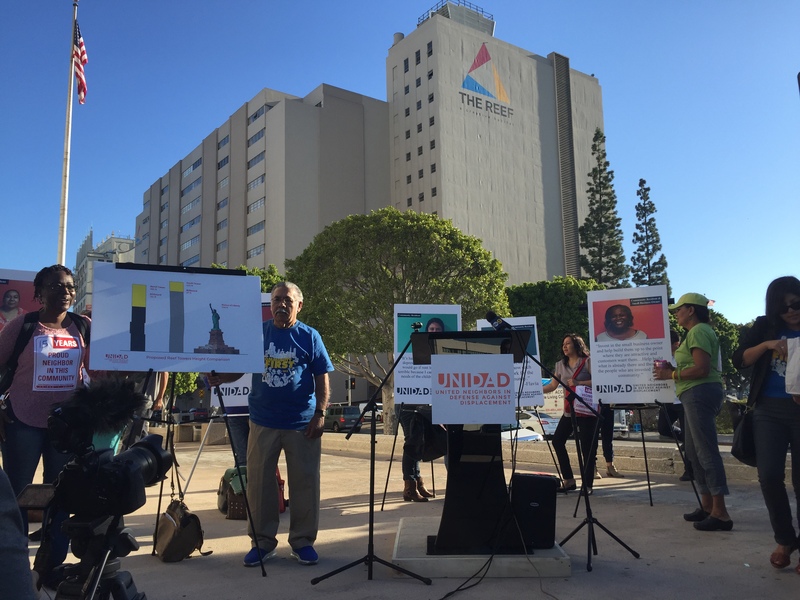 A new South Los Angeles development project drew sharp criticism from neighbors and health advocacy groups at a press conference Monday. A report released by Human Impact Partners found that “The Reef” development, slated to build two multi-use high-rise buildings, will place over half of renters in the site’s surrounding area at high risk for financial strain or displacement. In September, the City Council released a 3,000 page environmental report on the development. The document has been has been a source of strain on attempting to be involved in the development process. “In the immediate, we are concerned about the draft [environmental impact review] project that has only given us 47 days to respond to a 3,000 page document,” said Benjamin Torres of CDTech. Beyond the environmental impact report, the community is concerned that the development will bring new residents into the proposed luxury apartments while pushing out lower-income locals because of rising rent and property value. Los Angeles is the least affordable city for renters, and HIP found that the city lost 65 percent of state and federal funding for affordable housing between 2009 and 2014. 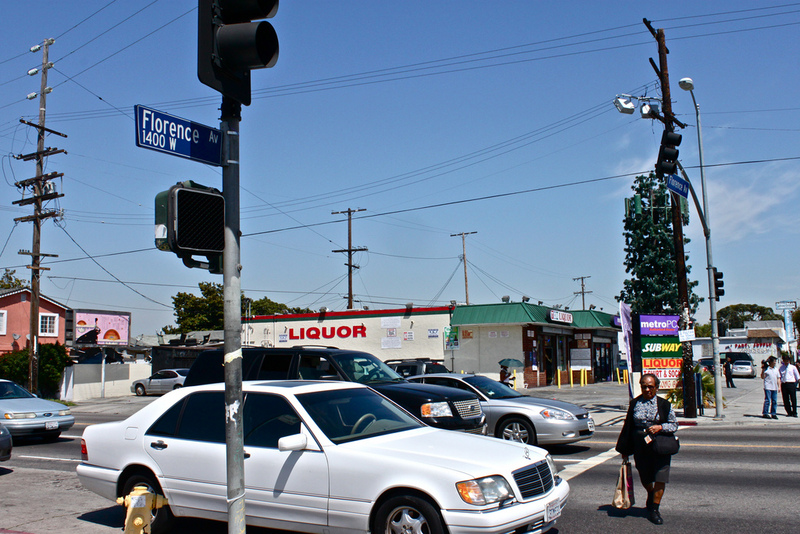 The South Los Angeles neighborhood surrounding the development is one of the most crowded areas in the city. In the community where 45 percent of residents fall below the poverty line, a rise in prices leaves many residents forced to compromise. Residents hold a press conference in front of The Reef, which plans to develop two new skyscrapers in South LA over the next 15 years. | Caitlyn Hynes, Intersections South L.A.
Community members are worried that The Reef development will not include affordable housing, an issue that already exists. At the press conference, residents and community leaders urged developers and the City Council to consider their voices throughout the 15-year building process. Benjamin Torres of CDTech said he was concerned that the decisions made about the development would not include the input of the neighbors who currently live there. “One [concern] is the long-term process and what the role of the community is, and making sure we have equitable community development that benefits the area,” he said. Neighbors want South L.A. to attract developers. They also want development to reflect the neighborhood’s residents as they are now, not those who will move in to be a part of The Reef’s demographic. Dr. Holly Avey of HIP said that her organization was concerned about the negative impact that this development could have on the historic South Central L.A. neighborhood. The report found that community residents who are impacted by displacement and financial issues are at a high risk of a variety of health problems, including anxiety, depression, obesity and diabetes. Beatriz Solis of the California Endowment said that some families are forced to make delicate tradeoffs, like choosing between healthy food or preschool. Cynthia Bryant, the owner of a local ice cream shop, voiced her concern that when the development does go forward, the businesses in The Reef will push her out of the neighborhood. Bryant worries that the business space in The Reef will drive up rent prices across the neighborhood. “I don’t want to be the first one to get on the boat if we get pushed out of this community, because they’re pushing us further and further. But where is the boat loading? Should I be the first or should I be the last, should I keep hanging on?” said Bryant. The rising rents and subsequent displacement of residents worries Solis as well. “At the community level, when people are forced out, the whole community fabric begins to unravel, and what cohesion and collaborative efficacy, or social and political power did exist begins to evaporate, making it more and more difficult to have a voice in community development,” Solis said. Neighbors like Erendira Morales, a working mother of four children, say they want to be a part of this process to make sure that their concerns are being heard and addressed. IT, culture helps reborn L.A. hospital shed ‘Killer King’ past: Martin Luther King, Jr. Memorial Hospital re-opened last July after patient safety was called into question. 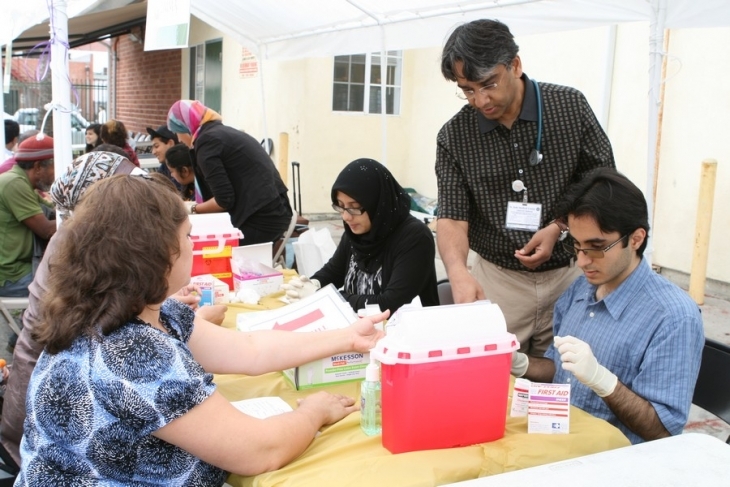 The South LA hospital is now using IT to maximize resources in the medically under-served community. New Preventive Health Program Helps South L.A. Seniors Get ‘HAPPI’: A community-based research project launched to help South LA seniors access preventative care. Healthcare officials hope the public will be better informed about the services they have access to, improving the community’s quality of life. helping people lose weight and transform their lives. This article was recently featured in the Huffington Post’s “What’s Working” campaign. It originally appeared on Intersections on October 30, 2014. 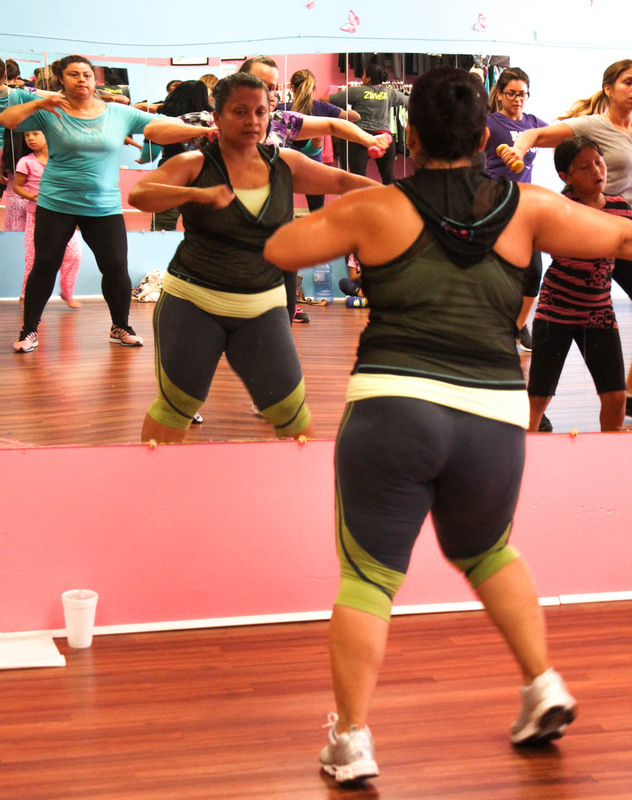 “She used to be fat!” a woman said after Patricia Campos’ class on a recent weekday morning, nudging her elbow at a fellow student. “No, I used to be fat!” a friend chimed in. “I was fat, too!” added another. 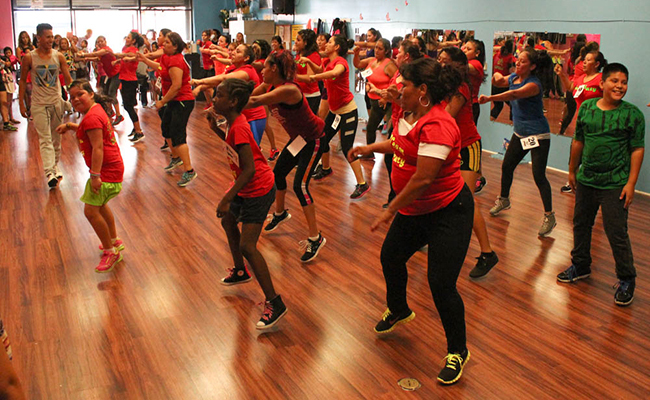 Just minutes prior, the trio of 30-somethings were among 20 women clad in black leggings and neon hued tops twisting side to side as a Dominican cumbia song blasted from the stereo. “Get movin’!” commanded Campos in Spanish, pointing to one women’s waist with a mock serious expression of indignation. Campos herself bounced with energy, demonstrating each routine without resting between numbers. She paused only to snag a paper towel with her foot and wipe it across the floor to soak up flying beads of sweat. 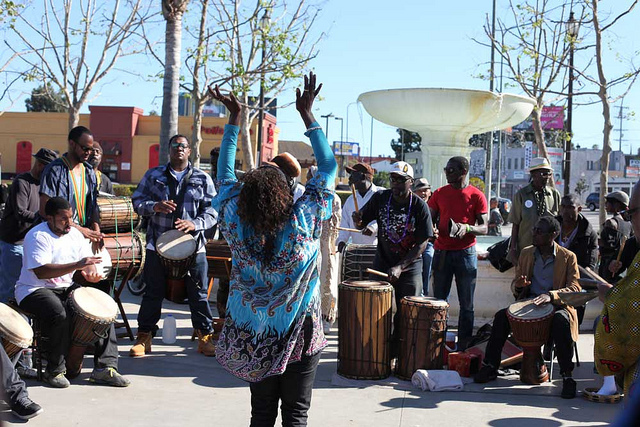 Intersection’s Nonprofit Spotlight series profiles South L.A. organizations that are propelling positive change in South L.A.
For many people, these efforts have worked. 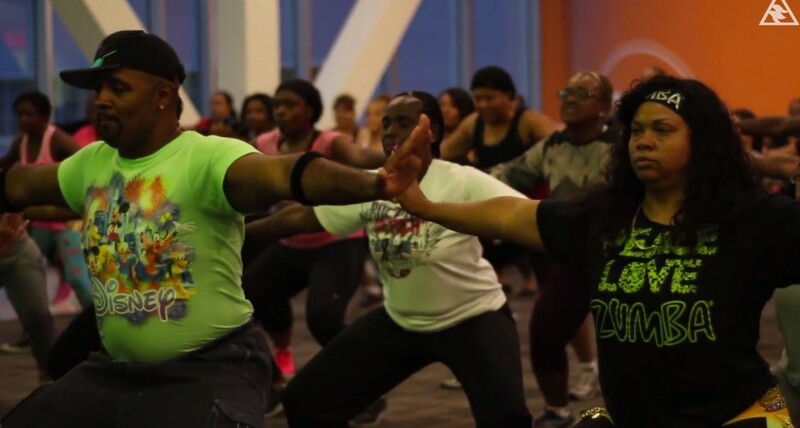 Take Debra Finley, who signed up for free Zumba classes through the BFit program at the Baldwin Hills Crenshaw Plaza. City Watch: St. John’s Well Child and Family Center in South L.A. helps care for many of the kids immigrating alone from Central America. KCET: A conference last week addressed South L.A.’s environmental health challenges. 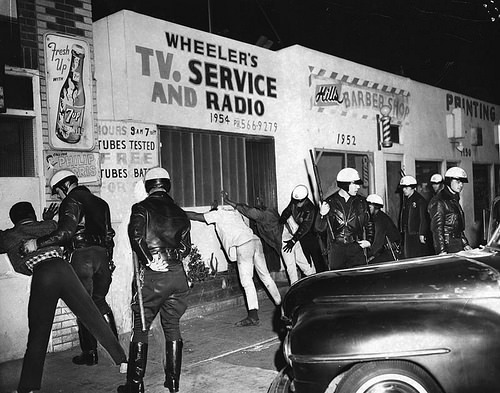 LA Weekly: The LAPD’s “militarization” has roots in South L.A.
LA Times: Two South L.A. high schoolers have won a Charles Dickens essay writing contest. After nine years of planning, the Northgate Gonzalez Market opened in South Los Angeles in April, becoming one of the area’s few full-service supermarkets committed to offering healthy options such as fresh produce at affordable rates.